Music for Viols and Friends is celebrating its 19th season this year. 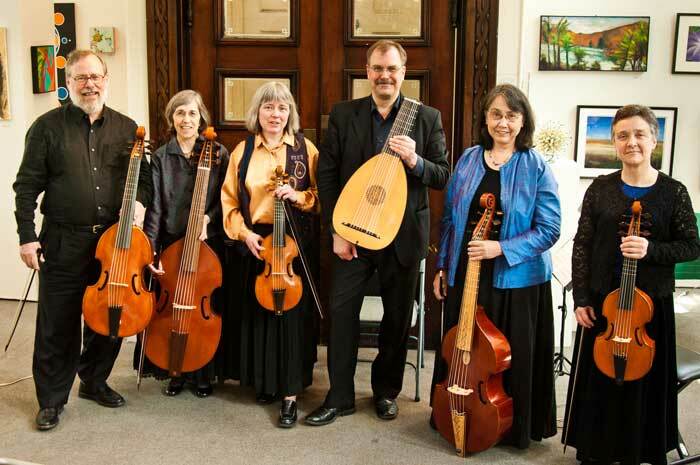 This weekend at Lindsay Chapel (Cambridge) and the Somerville Museum, the El Dorado Ensemble of five fretted viols and lute put together a fantastic variety of English Renaissance music. They were joined by guest artist Michael Collver, who sang the leading melodies in eight English madrigals, and who played a cornetto made by Matthew Jennejohn. This review is based on Friday’s concert on Cambridge. The selections came from better-known composers of the Chapel Royal (Tomkins, Gibbons, Morley), through cathedral musicians (Weelkes, organist of Winchester Cathedral, and John Ward, singer at Canterbury Cathedral) to those who worked in private courts and published chamber music during the English golden age (1585-1625). The consort of viols played fluidly throughout the polyphonic settings, bringing out individual lines through subtle ornamentation and dynamic nuance. Four of the viols were made in the 1980s by Peter Tourin (Jericho Center, VT); these include a treble viol played by Janet Haas, and two tenor viols, played by Paul Johnson and Ms. Haas. The El Dorado Ensemble is notable for its use of two bass viols in most arrangements: Mai-Lan Broekman plays a fine six-string bass viol (part of the matched set from Peter Tourin) and Alice Mroszczyk plays a seven-string bass viol by Curt Bryant (Watertown, 1976), after Pierray. Madrigals, both familiar and unusual, were peppered through the program. Gibbons’s masterful “The Silver Swan,” Weelkes’s challenging “As Vesta was from Latmos Hill descending,” and Morley’s “Hard by a Crystal Fountain” are typical of early 17th-century vocal music, and the latter two set the same concluding couplet, as they were composed for Morley’s 1601 anthology The Triumphs of Oriana. Lesser-known madrigals provided delightful surprises, including Morley’s “Good Love, then fly thou to her,” and the effective and beautiful “Wandering in this Place” by Michael Cavendish (c. 1565-1628). Collver sang the soprano parts with expressive enunciation, in a style that approached a poetry recitation. For example, some words in Cavendish’s songs were made more pungent in the small, resonant chapel by extra voicing of consonants (a hard “g” in the middle of “ringing” and “singing). Collver’s mellow tone and use of variety within sustained vowels brought the Arcadian poetry to life, and forged an emotional connection with the attentive audience. Michael Cavendish was also represented by a fascinating Galliard, with a wide variety of virtuosic ornamentation on repeated phrases and inventive triple-time passages near the final cadence. For me, the discovery of the evening was the fine pavan/galliard set by Francis Cutting (active 1571-1596), who worked as a servant and advisor to the Howard family at Arundel House in London. Henriksen noted, “The Howards were Catholic sympathizers, and for this reason they purposefully kept a low profile. Francis Cutting was a highly skilled lutenist, and he was instrumental in helping the printer William Barley publish the first anthology of English lute music, A New Book of Tablature (London, 1596). Three sets of dances featured the mild and sonorous cornetto playing of Collver. He took the lead on a pavan and galliard by Thomas Tomkins (1572-1656) that opened the concert. These light, but very dense arrangements were presented at correct, danceable speeds, rather than the often-exaggerated dirge and gallop tempi that this combination of Renaissance entrance dances can encourage. The cornetto and treble viol were set against each other antiphonally in the triple-time galliard, and both employed vibrato very sparingly. The second half of the concert featured a paired fantasia and passamezzo pavan by Thomas Robinson (c.1560-c.1610) and Peter Phillips (c. 1560-1628). The cornetto took a more virtuosic role in the second, and both featured a tiny English cittern (a type of mandolin or small guitar, made by Northern Renaissance Instruments, Manchester, 1977, after Robinson). The cittern sounded like the top two octaves of a harpsichord, and was used by Henriksen both as a solo instrument (realizing four-part textures from tablature) and as a continuo instrument (in the same range as the cornetto). The final appearance of the cornetto was near the end of the concert, in selections from Squire’s Masque (1613) by John Adson (late 16th-century to 1640), who was a wind player in the service of the Duke of Lorraine. 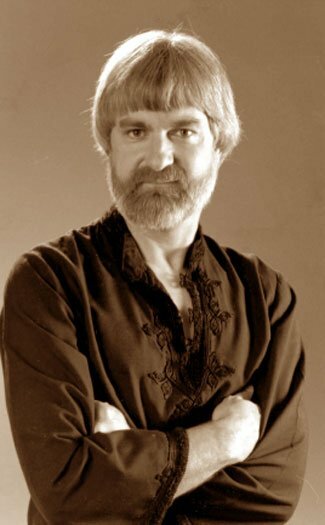 One of these selections was originally published for solo lute as well (the “Devil’s Dance”), so Henriksen presented that solo on an eight-course lute by Andrew Rutherford (New York, 1980, after Hieber); this was the main instrument he used for continuo work throughout the evening. 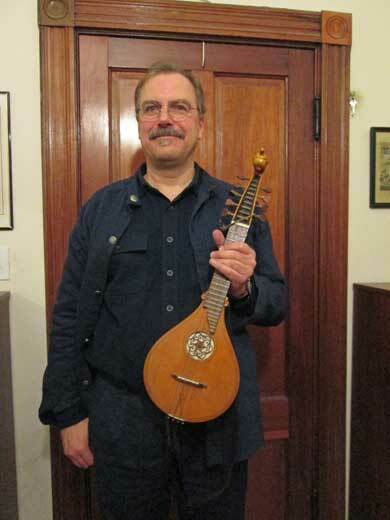 The next concert of the El Dorado’s 2012-13 series will take place on Friday April 12 at the intimate Lindsay Chapel; it will feature recorder virtuoso John Tyson performing renaissance Italian music, along with special arrangements of viol consort for the El Dorado Ensemble. Laura Prichard has been a regular pre-performance speaker for the San Francisco Opera since 1996 and the Boston Opera Collaborative since 2007. She teaches music and history at UMass- Lowell, Nashua Community College, and the summer Berkshire Choral Festival. She is an active singer and conductor in the Boston area.